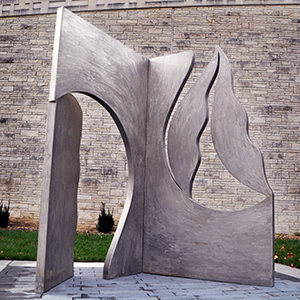 My first experience of Rita Blitt’s work was a big sculpture, “Confluence of Love and Leaning,” in front of Morgan Hall. Almost two years ago, I looked up at the sculpture for the first time and immediately liked it. Curved lines are creating a beautiful shape which somehow looked like the shape of a treble clef. To me, it projected my mixed feelings that I was having at that time. Coming to the United States and starting my new college life at Washburn. Anxiety for living in the different country and college life, loneliness which came from being far from my family and friends in Japan, but also excitement for learning new things and expanding my horizon. These feelings were swirling in my mind like a music. Still today, every time I pass by the sculpture it reminds me of how I was feeling and thinking two years ago. Washburn is a great place to study arts. Not to mention the wonderful art department with amazing professors, but also there are many works of art all around the campus. 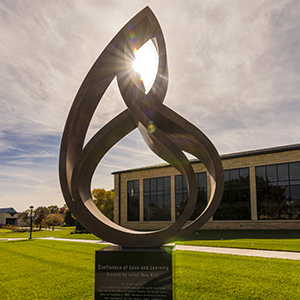 The Mulvane Art Museum is also located on campus, which has a huge collection and a great resource for students. In some classes, students pick works of art from their collection and open up their exhibitions. Last semester, my class picked a couple of Rita Blitt’s works which were suitable for our exhibition’s topic and the exhibition went really well. 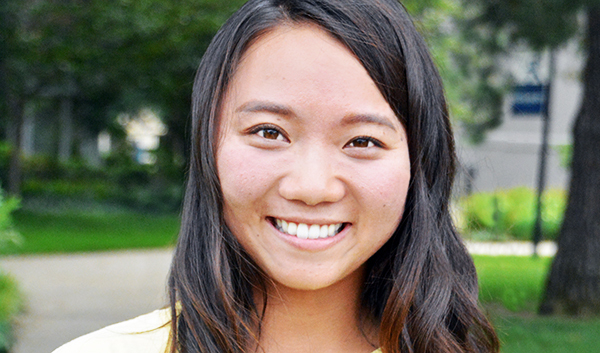 The Mulvane gives students an opportunity to work as well. While I’ve been working as a research and collection assistant, I’ve dealt with Rita Blitt’s works many times, installing her sculptures, and storing her sketches and paintings. I think her works are often times abstract which make us think about what she was trying to say or express through her pieces. I believe her works give a lot of inspiration to people in different ways by making them think. Through all my experiences with her works of art, I felt that Washburn and Rita Blitt are in very close relationship and her works even give me a sense of closeness. I believe the new gallery will influence a lot of students as well as the community, and will give us many opportunities to think about the arts. 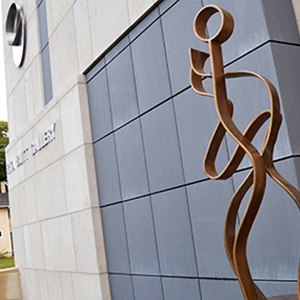 The gallery and sculpture garden opened in November 2017. It is the first phase of a new performing arts venue that will celebrate music and art on campus. The gallery houses Rita Blitt's collection and life's work. Blitt is a world-renowned artist from Kansas City, Missouri. Learn more about the gallery at the Mulvane Art Museum homepage.